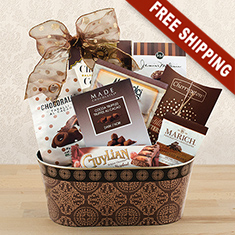 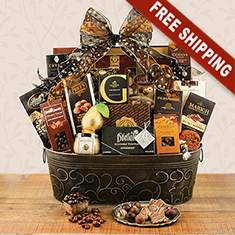 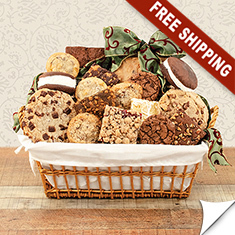 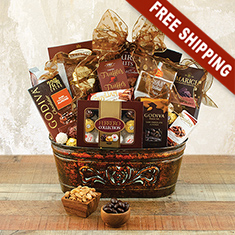 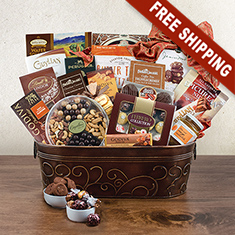 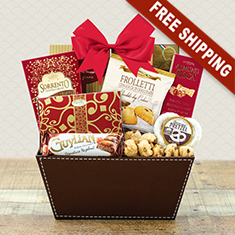 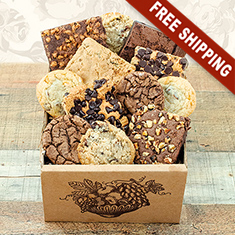 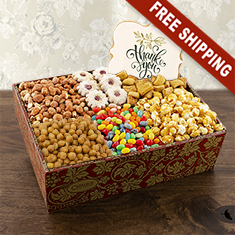 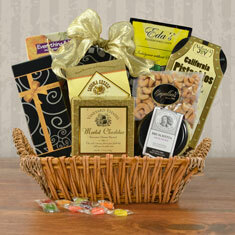 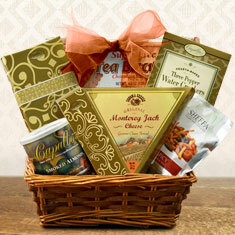 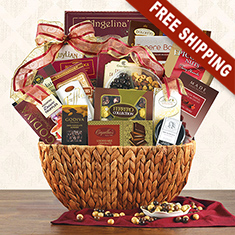 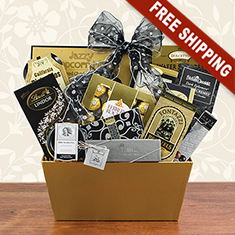 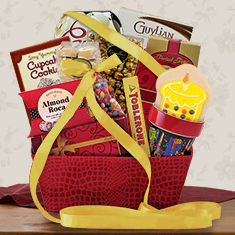 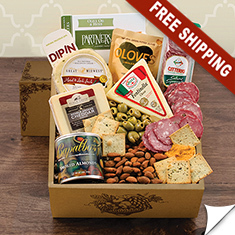 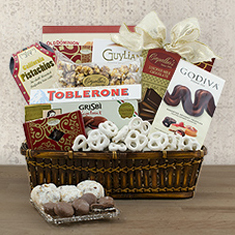 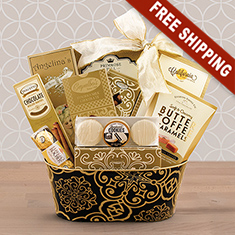 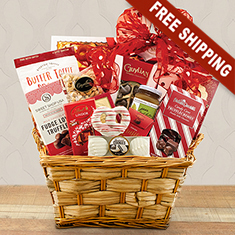 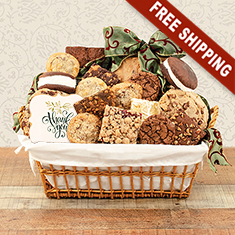 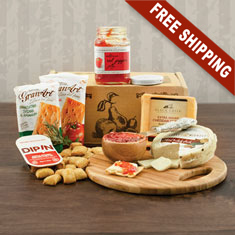 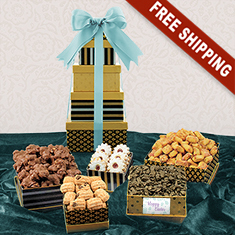 Elegant, tasteful and tasty gourmet food gift baskets are the ultimate temptation. 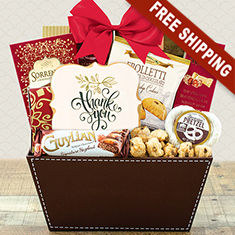 Epicurean delights can include handmade truffles, chocolates, cheeses, crackers, salami, brownies, bakery goods, cookies, pretzels and nuts. 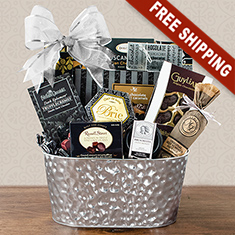 The gourmet baskets come in a wide variety of styles, ranging from traditional wicker to planters, metal coolers, tins, towers or even a cutting board!